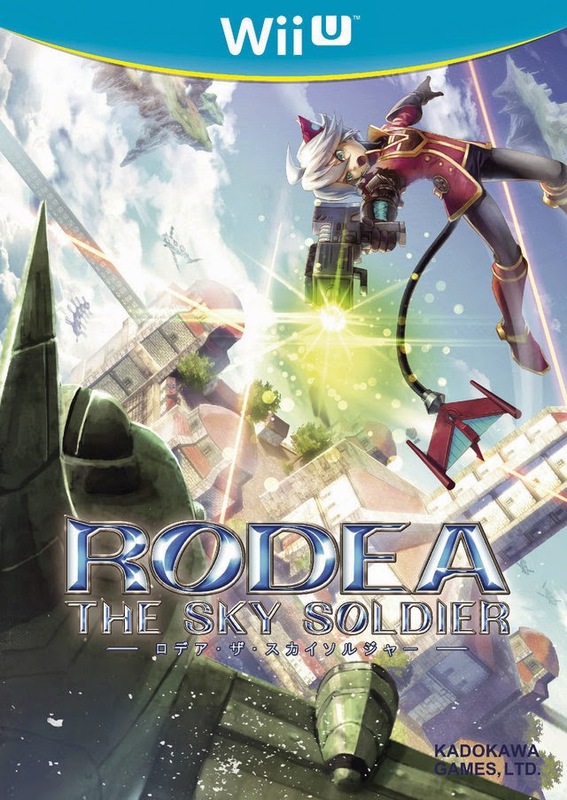 Maintaining an acknowledgeable level of interest in Rodea the Sky Soldier has been a tough ask the last couple of years. After all, back when it was first unveiled (in 2010) as a Wii game, it had Sonic the Hedgehog creator Yuji Naka's name attached to it and NiGHTS-esque hype surrounding it. Today, it seems to be more of a Kadokawa Shoten product that was inspired by Naka's earlier, shelved work--which, to be honest, sounds far less appealing to me than the originally announced game. 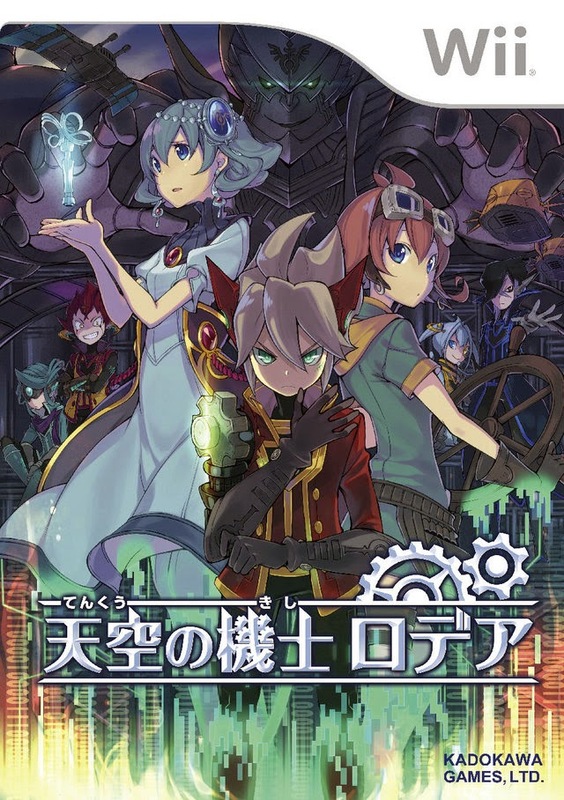 Still, I'm curious to find out whether or not Rodea the Sky Soldier found a way to survive this painfully drawn out hand-off and wind up a halfway-decent title. One thing that's already clear to me: Rodea's box art didn't survive that same transition. Don't believe me? Feast your eyes on the following cover mock-up, which apparently was created for the Wii version of the game. And then check out the two pieces of box art below, which are for Rodea's 3DS and Wii U releases, respectively. Actually, the 3DS cover illustration above isn't the worst thing ever, but that big, blocky and crude logo does all it can to ruin the experience, in my opinion. Also, both the 3DS and Wii U box arts serve to reinforce my dislike of Rodea's protagonist. There's just a bit too much going on with his design, don't you think? The Wii U cover also reiterates for me that the branding that's used on all of the system's cases pales in comparison to the simpler, more elegant branding that appeared on Wii cases. I find that teal-and-yellow "swoop" that appears at the top of every piece of Wii U box art to be visually jarring, and even when it doesn't clash with the art beneath it, it still threatens to pull your eyes away from it. What do all of you think? Do you find any of these covers appealing? And are you at all interested in the games that are going to be packed inside of their cases? The first cover is certainly nicely composed but in terms of "reminding" us of elements we don't like, the thing that really hurts Rodea for me is what appears to be a lot of heavy exposition delivered in an extremely worn out anime fashion. I can already see myself dragging my way through the cut scenes, making sure I don't miss anything important about a story and characters that I couldn't care less about. By contrast, the 3DS version emphasizes the promise of free and natural-feeling flight, and the WiiU version focuses on the shooting. Both take a more action-based approach that I can really get behind since that's what looks more interesting to me about the game, so I like that they'd hone in on what (I hope) are the game's stronger aspects. That said I don't like the style or composition of the WiiU box either. 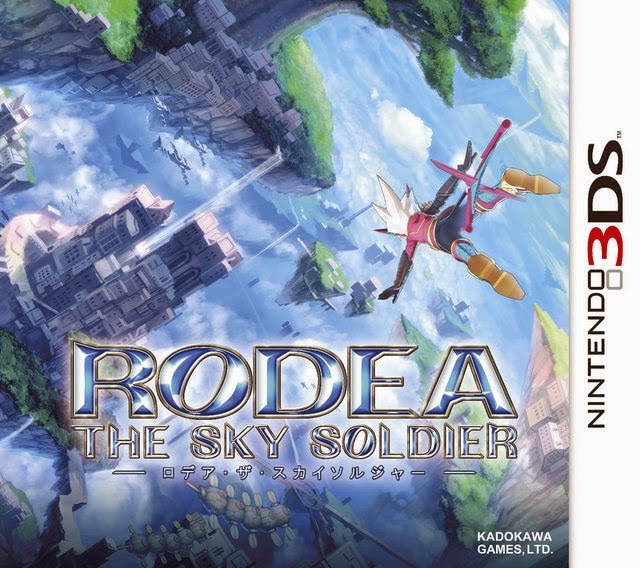 Rodea is a really unappealing character for me, but the 3DS box shows off the world really nicely and makes me the most interested in actually playing it. Anyway I think I'd probably pick up the WiiU version, if I pick up any of them, though I'll probably be scoping out reviews in advance too. I'm interested in the game but I'm also pretty skeptical. By the way, did you know that early in NiGHTS' development, before they had settled on the dream theme they went with, Sonic Team considered making a game about a flying "soldier" with a gun? I wonder if this was inspired by that idea or if it's just coincidence. Hey there, Michael! Oh, this is an interesting comment. Before now, I hadn't even thought about this game potentially including a lot of anime-ish cutscenes--or some related form of exposition. That said, I'm pretty sure that if the game *does* include such cutscenes (anime-inspired or not), they'll appear in the Wii U and even 3DS versions rather than the Wii one, as it's been suggested a few times now that the Wii version is the most straightforward (focusing mostly, if not entirely on flight-action), while the Wii U and 3DS versions are supposed to have some RPG-esque elements. Anyway, I'm with you in liking how the 3DS version tries to embrace and emphasize the game's promise of free flight. Maybe if the folks at Kadokawa had stuck with the Wii version's logo the 3DS version's box art would appeal to me more? Even then, though, there'd still be the protagonist to deal with, and at this point I just don't like his design. Oh, well. Your note about the early version of NiGHTS is really interesting, too, by the way. Boy, am I glad they went with the Nights character we all know and love in the end! Ah, yes, I forgot that the trailer/teaser for the Wii version also featured cutscenes. Also, I agree that the cutscenes shown so far have not been very appealing. Nor has the gameplay footage, if I'm to be honest. The game very much seems to be some sort of tech demo at this point, which doesn't exactly trip my trigger. Hopefully there's more to the released product than current appears, but I'm not holding my breath. Really, it's hard to see in the gameplay footage shown so far what players will be doing while experiencing this game. Promising a feeling of flight is one thing, but there has to be more than that, right? Oh, I definitely agree that the composition of these covers is nice enough, Chief. I guess its just the illustrations (of the 3DS and Wii U versions) that lets things down for me? I find the newer covers ugly. Plain. Boring. Samey. The original Wii cover is pretty sweet. Yeah, the best thing about all of this is that the game's finally going to see the light of day--and not only Naka's/Prope's version, but Kadokawa's version, too!